Enjoy 73 issues of Interweave Knits in this Ultimate Collection CD Kit! You get all issues from 1996 to 2014-the perfect collection to add to your knitting library! 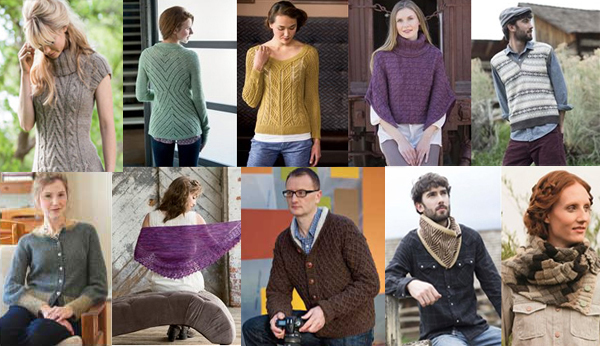 Enjoy 73 issues of Interweave Knits from 1996 to 2014 in this Ultimate Collection CD Kit! Discover hundreds of knitting patterns and projects featuring various techniques from cables to lace to Fair Isle knitting and so much more! Explore each issue of Interweave Knits as it was originally published in 1996 all the way up to Winter 2014! There is something for everyone in this collection from classic sweaters to colorful cardigans to knitted lace shawls and even fun knitted accessories! PLUS, the full-color electronic versions of these magazines include easy-to-navigate tables of contents, easy-to-print patterns, informative articles, designer profiles, and all the tips and techniques that Interweave Knits is known for. Add this Ultimate Collection Kit to your knitting library! Order the Ultimate Interweave Knits Collection CD Kit today!